Green burial is a way of caring for the dead with minimal environmental impact that furthers legitimate ecological aims such as the conservation of natural resources, reduction of carbon emissions, protection of worker health, and the restoration and/or preservation of habitat. How does green burial differ from conservation burial? 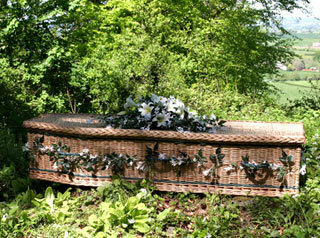 Conservation burial is a term coined by the Green Burial Council at the 2005 Land Trust Alliance National Rally. The concept calls for a cemetery’s adherence to a number of protocols to ensure that burials never degrade an ecosystem and, where possible, facilitate ecological restoration. It requires that surveys (biological, geological, hydrological) be done to determine where burial should and should not take place on a piece of land, and at what density. Most significantly, conservation burial requires that an established, independent conservation organization, most often a land trust, serve as steward of this land and be willing to hold a conservation easement. This legally enforceable instrument, which runs with the land, guarantees that the standards for conservation burial, set forth by the Green Burial Council, will be upheld in perpetuity. What does it mean if a cemetery is Green Burial Council certified? GBC certification allows consumers to be able to distinguish between the three levels of green burial ground and understand that each has a different set of standards. It requires cemetery operators commit to certain degree of transparency, accountability and third party oversight. And it prevents future owners from going back on whatever ecological or aesthetic promises have been made in the past -- from limitations on burial density that protect a local ecosystem to prohibitions against the use of monuments that would negatively impact a viewshed. Since burial vaults are made from concrete, shouldn't they be considered green? While the concrete and metal in vaults may be considered "natural" to some, the manufacturing and transporting of vaults uses a tremendous amount of energy and causes enormous carbon emission. In this US, vault manufacturing requires the production of 1.6 tons of reinforced concrete. Vaults are not required in GBC-approved hybrid burial grounds, and they are prohibited in Council-certified conservation and in natural and environmentally low-impact burial grounds. 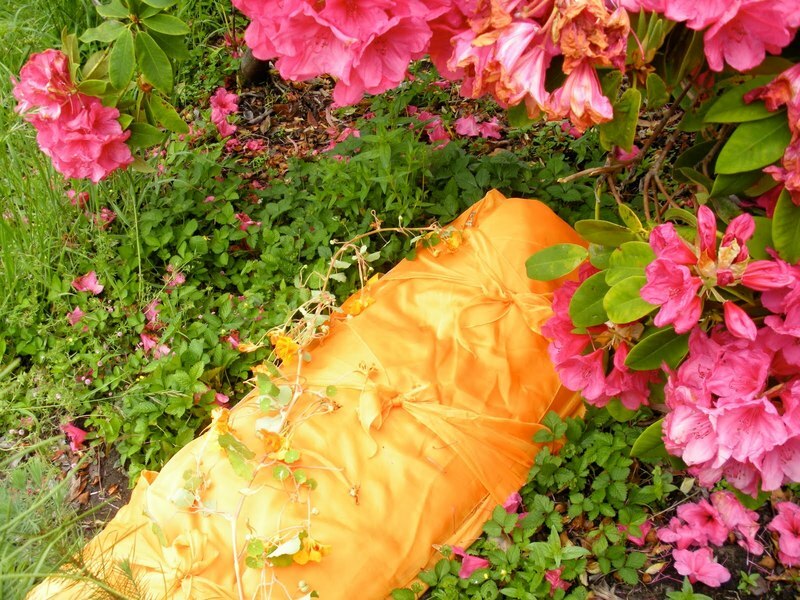 How do I know that a particular product is suitable for a green burial? The GBC believes a casket, urn, or shroud is suitable for a green burial if it’s made from materials/substances that are nontoxic and readily biodegradable. We also require that these products not be made from materials that are harvested in a manner that unnecessarily destroys habitat, as is the case with certain types of sea grass. A list of caskets, urns, and shrouds that meet these requirements, whose producers have provided us with clean, fully disclosed material safety data sheets, can be found at our "find a provider" section. Doesn't cremation create a lot of pollution? Cremation uses far fewer resources than almost any other disposition option but it certainly has an environmental impact. Cremation burns fossil fuels, and some older cremation facilities can use significantly more energy compared to newer ones. Mercury is also emitted when a person with dental amalgam fillings is cremated, but effective filtration devices that can fully mitigate mercury pollution should come on the market in the very near future. While no standards yet exist that allow consumers to determine which cremation retorts produce the most pollution and carbon emissions, there are several things that can be done to “green up” cremation such as recycling medical parts, and making a contribution to a carbon fund. Why don't you certify cremation disposition programs? While a cremation disposition program may provide benefit by setting ecologically responsible standards for memorial reefs and scattering grounds, the amount of resources and effort required to responsibly establish and manage such programs come at the cost of utilizing resources to further the organization’s main objectives: to encourage environmentally sustainable deathcare through its funeral home and product compliance program, and to preserve natural areas through green burial via its burial compliance program. Accordingly, we currently do not have a cremation disposition certification program. What is a home funeral and how does it differ from a home burial? Home funerals, which allow for families to care for a decedent and all aspects of a funeral at home, were quite common in the US up until the mid-20th century. A family can facilitate a home funeral in almost every state, or do it with the assistance of a licensed funeral director. Most all GBC-approved funeral homes accommodate families wanting home funerals. A home burial is an alternative to disposition in a cemetery. It's allowed by almost all counties, but most require a minimum number of acres and often the filing of a plat map with the planning department.